California is notorious for its constantly evolving labor and employment laws and compliance requirements, which are often broader—and even more employee-friendly—than their federal counterparts. Our California Labor Code Litigation Practice Group has distinguished itself as one of the premier practices in the state, focusing on addressing the unique requirements for doing business in California, and defending clients against the panoply of single plaintiff and class action claims that arise under California employment law. 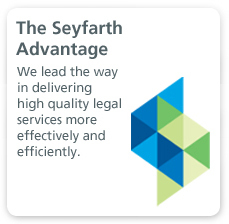 When wage and hour class actions exploded in California in the 1990s, Seyfarth was at the forefront of the earliest cases, and we remain in the vanguard of firms handling these actions. Our expertise in this area is evidenced by the fact we have handled more than 300 California class action lawsuits in the last several years concerning virtually every conceivable wage and hour issue, including misclassification of employees, "off the clock," vacation, rest and meal periods, travel time, donning and doffing, tip pooling, business deductions, denied reimbursements, bonuses, commissions, pay stub violations, regular rate calculations, and California’s “bounty-hunter” statute. Indeed, we have more experience with California labor code litigation than any other law firm in the country. While very few wage and hour class actions are actually tried to a jury, and relatively few attorneys have tried class action lawsuits, our California labor code litigation attorneys are the notable exception to this rule. 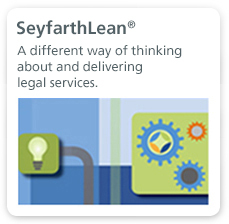 The class action trial experience that Seyfarth brings to the table sets us apart. First, our opposing counsel are aware that we are prepared to try a class action and have proven formidable opponents in other cases. Second, our trial experience is with us at every step of the litigation. We view witness preparation, document production and depositions, not only with an eye toward defeating class certification or obtaining summary judgment, but also with an eye toward trial should that become necessary. While our position at the forefront of California labor code litigation has merited our sterling reputation with respect to defending clients against these suits, our experience also has enabled us to develop comprehensive compliance programs and sample policies to help avoid such litigation. Among these strategies is our practice of working with clients to implement—and actually enforce—arbitration agreements during the pendancy of a class action. 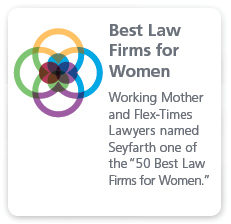 Law360 names Seyfarth a "California Powerhouse" in Employment Law. A resource for employers navigating the peculiarities of California employment law. 4/3/2019 Hiring Influencers: Are You Playing With Fyre?